Facebook / The Elf on the ShelfWhat began as an innocent attempt to start a new holiday tradition is starting to drive people crazy. Many parents tell their children the doll monitors their behaviour and reports it to Santa in the weeks before Christmas. Inspired by a 2005 children’s book and sold with the book for $US30, Elf on the Shelf is part Christmas decoration, part babysitter. 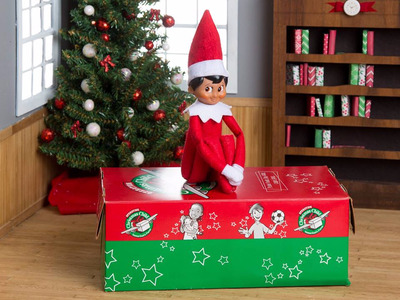 Many parents tell their children that the doll is observing them in the weeks before Christmas, reporting to Santa whether or not they have behaved well enough to receive gifts.